Walker’s strike wins The Rebound to reach the last four, which two goals will make the Final? 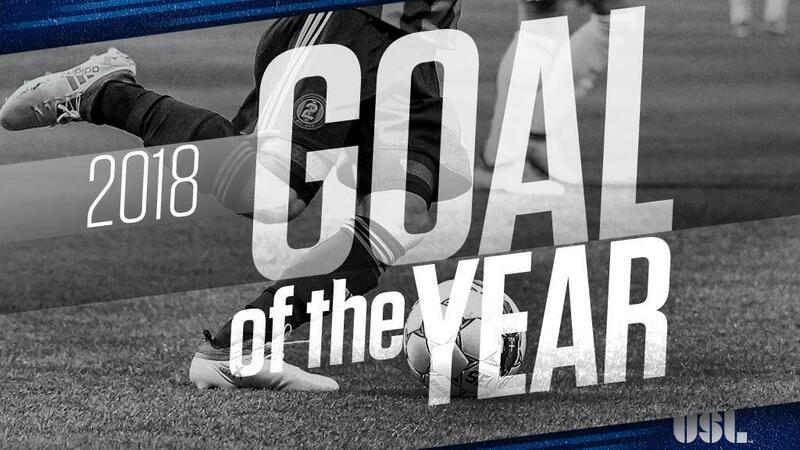 TAMPA, Fla. – The Semifinals of the 2018 USL Fans’ Choice Goal of the Year competition are set after FC Cincinnati’s Kenney Walker claimed victory in “The Rebound” to join Ottawa Fury FC’s Cristian Portilla, the Swope Park Rangers’ Wan Kuzain and San Antonio FC’s Alex Bruce in the penultimate round of the competition. Walker’s strike earned 34 percent of the Rebound vote, which was enough to narrowly edge out Phoenix Rising FC’s Jason Johnson (28 percent) and Louisville City FC’s Cameron Lancaster (20 percent) for the top spot in the nine-goal field. After losing out to Kuzain in the Second Round, Walker will try his luck against Bruce for a spot in the Final while Kuzain takes on Portilla in the other Semifinal. Voting will continue through 12 p.m. ET on Monday, December 17.